Villa Maria Private Bin Sauvignon Blanc is a popular New Zealand White Wine available from Waitrose Cellar in 75cl to buy online. Visit Waitrose Cellar for the best price for 75cl of Villa Maria Private Bin Sauvignon Blanc or compare prices on our other New Zealand White Wine products. It has been almost half a century since George Fistonich embarked on the adventure of creating Villa Maria, the home of New Zealand's most awarded wines. The Private Bin range reflects our commitment to generously flavoured, approachable wine styles that have gained a solid reputation world wide. Deliciously fresh with amiable tropical and gooseberry fragrance, this wine has an enticing prolonged finish. Where to buy Villa Maria Private Bin Sauvignon Blanc ? Villa Maria Private Bin Sauvignon Blanc Supermarkets & Stockists. 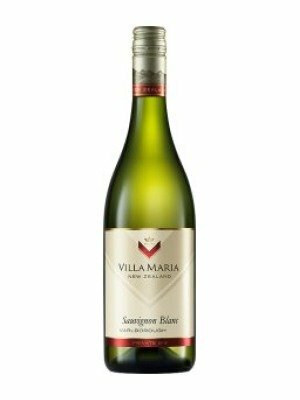 You can buy Villa Maria Private Bin Sauvignon Blanc online in most retailers and find it in the New Zealand White Wine aisle in supermarkets but we found the best deals online for Villa Maria Private Bin Sauvignon Blanc in Waitrose Cellar, Tesco Wine, Tesco Groceries, and others. Compare the current price of Villa Maria Private Bin Sauvignon Blanc in 75cl size in the table of offers below. Simply click on the button to order Villa Maria Private Bin Sauvignon Blanc online now.